Every couple who finds themselves in the process of divorce should pursue the best possible means of finalizing the divorce. At Johnson Mediation, we provide mediation services for divorcing couples. We believe that the evidence of the last several decades indicates that mediation is the single best means of finalizing a divorce for most couples. Infact, the court in Minnesota may require the two parents to agree to mediate any disputes regarding joint physical custody before bringing a custody dispute back to court. Before you determine that mediated divorce is the right choice for you, we want you to understand how the divorce mediation process works. ● Dividing property, assets and debt owned jointly by the couple. ● Determining whether one member of the divorcing couple will provide financial support to the other (spousal and/or child support). ● Creating a parenting plan if you have children. Our team works with divorcing couples to create an action plan and determine the priority of the issues that need to be resolved. The next step is to gather and share pertinent information so that you and your divorcing partner are able to make informed decisions. Out of this process, we can determine whether the circumstances warrant the use of other professional services, such as appraisers, accountants, and therapists. In addressing the inevitable financial matters, we will look at your assets and liabilities. Related to that process will be our efforts to reach agreement on how best to divide your property and debts. This includes making budgets for you and your divorcing spouse, which you can then use after finalizing your divorce. If you have children, we will help you determine whether child support and/or spousal maintenance will be included in the settlement. Our focus, when children are involved, is to prioritize their well-being. Creating a specific parenting plan is almost always recommended because they are helpful in limiting the impact of your divorce on your children’s lives. Though most divorce mediators follow similar processes, you can count on Johnson Mediation to lend you and your divorcing spouse the time, attention, compassion, and professionalism that you deserve. We know that divorce can be a uniquely painful experience for all family members, but most especially for you and your children. You can trust that we will treat all of the information that is relevant to the divorce settlement and all content of mediated discussions with utmost confidentiality and sensitivity. We also understand the complexities of Minnesota divorce law. This expertise must be in place in order for such things as professionalism, compassion, and attention to detail to matter. And we want you to know that you matter. 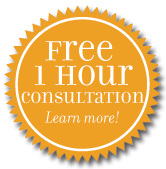 If you would like to schedule a free consultation, give the team at Johnson Mediation a call at (952) 401-7599.